Wigan chairman Ian Lenagan has reported positive talks with Sydney Roosters over the 2019 World Club Challenge and says the Super League champions' preference is to play the fixture in England. Melbourne to enable the game to take place. Four days after Wigan's Old Trafford win over Warrington, Lenagan is already deep in discussions with his Roosters counterpart Nick Politis and is confident the game will go ahead early next year. "It's more positive than this time last year but it's quite early in the piece," he said. "The discussions are good discussions, that's a positive from our viewpoint. "I can't say that it will definitely go ahead because, until contracts are signed, you don't know but there have been no negatives in the conversion so far." The match, due to be held in February, will be a repeat of the 2014 World Club Challenge which the Roosters won 36-14 at Allianz Stadium in Sydney. It is not known if the Sydney club would be prepared to travel to England but Lenagan is hoping they are. "We would prefer obviously for it to be in Wigan but until things are resolved, you can't really say," he said. The match will provide an early reunion for Wigan's new head coach Adrian Lam, who is rejoining the club from the Roosters as the temporary replacement for the departed Shaun Wane and will hand over the reins to Shaun Edwards in 2020. 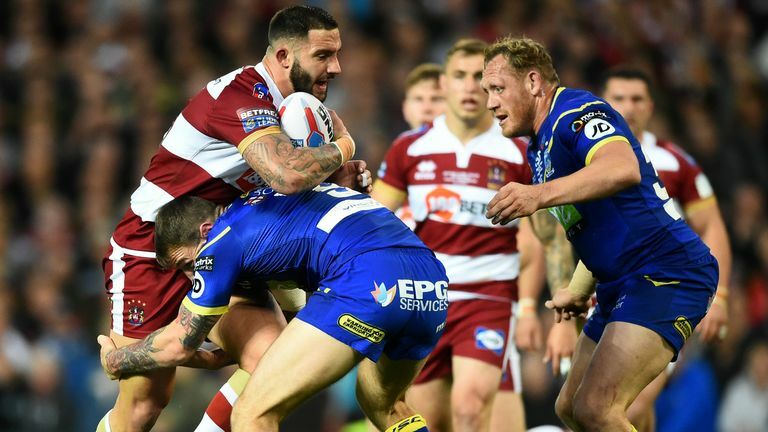 Wigan are the most successful club in the history of the World Club Challenge, which was first held in 1976 and staged intermittently until it became a fixture 18 years ago. The Warriors won it for the fourth time in 2017 thanks to a 22-6 win over Cronulla at the DW Stadium while the Roosters were the first ever winners in 1976 when, known as Eastern Suburbs, they beat St Helens 25-2. The concept was expanded to a six-team World Club Series in 2015 but lasted only two years before reverting to a one-off match.